There are two important federal statutes to keep in mind when working on a military divorce case. First, the Service Members Civil Relief Act (SCRA), which provides protections to service members (SMs) involved in lawsuits while serving on active duty. A more detailed discussion of the SCRA can be found in Section B1. The SCRA has not been amended in 2016 and the last major amendments were in 2003 when the SCRA replaced the Soldiers' and Sailors' Civil Relief Act of 1940. Subsequent amendments have mostly focused on mortgage lending and foreclosure notice. Second, the Uniformed Services Former Spouses Protection Act (USFSPA), which authorized states to treat military retirement as marital property subject to division. The USFSPA has not been significantly amended since it was enacted. 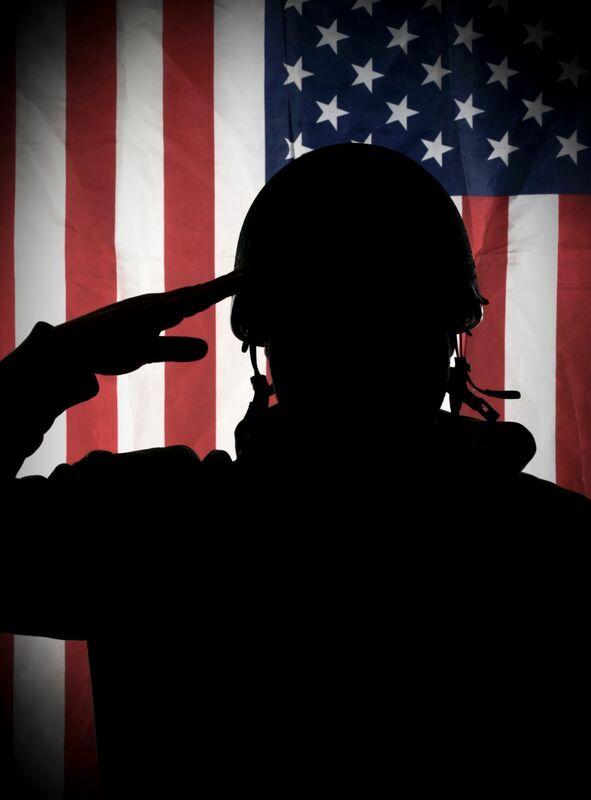 The last major development associated with the USFSPA was a United States Supreme Court ruling in 1989 that military retirement waived for VA disability benefits was not encompassed in the definition of “disposable retired pay” and thus is not divisible. A more detailed discussion of the USFSPA can be found in Section E1(iv). The Virginia law to know for military divorce cases is the Virginia Military Parents Equal Protection Act (VMPEPA), which governs custody/visitation matters when one parent is a deployed SM. The VMPEPA was enacted in 2008 and most recently amended in 2011. The 2011 amendments allowed for a deploying SM to ask that their visitation be delegated to a family member and authorized courts to hear testimony from a deployed SM by telephone or video conference. A more detailed discussion of the VMPEPA can be found in Section C2. In Epps, the Court of Appeals of Virginia held that the burden is on the party seeking to obtain a share of a military retirement pension to provide adequate evidence that it should be classified as marital property. The former spouse (FS) in Epps failed to show when the SM entered service, when the SM retired, and the length of the marriage that overlapped with the SM’s service. Without that information the Circuit Court could not determine whether the military pension was marital. Because the pension could not be classified based on the evidence presented, the Circuit Court properly declined to distribute a portion of the pension to the FS. The Court went on to note that the FS was not entitled to the pension as a matter of right. Even if the FS presented enough evidence to show the pension was marital property, the Circuit Court could still have not distributed a portion of the pension to the FS if the overall distribution of marital property was equitable. The issue in Jones was whether an injunctive and indemnification remedy could be implied from a Property Settlement Agreement (PSA) that divided a military pension, but did not include language for relief if the SM waived or merged their retirement benefits. Generally, SMs can reduce their retirement payments by waiving a potion to receive disability benefits, or merging them with other retirement accounts. Doing so would in turn reduce payments to a FS. For that reason, a PSA should include an indemnification clause that compensates the FS in the event of waiver or merger. In Jones, the PSA did not include an indemnification clause. Counsel for the FS wrote an Order dividing the benefits that included an injunctive provision and indemnification. The Circuit Court entered the order. The Court of Appeals of Virginia held that it was improper to include the injunctive provision because although the parties could have agreed that the SM would not waive his benefits, federal law does not permit a state court to order an SM not to waive retirement benefits. Contrary to their ruling on the injunctive provision, the Court found that it was proper to imply indemnification, even before the waiver or merger had actually occurred. The Rubino matter centered on the definition of “deployment” in the Virginia Military Parents Equal Protection Act (VMPEPA). In Rubino the SM received an assignment whereby he would be stationed in Bahrain and his family could accompany him. The SM then returned to the United States a year later and was stationed in the Hampton Roads area. When the SM returned he sought to modify the custody/visitation order in place. In granting the SM primary physical custody the Circuit Court found that the SM’s military orders indicating that he was stationed in Virginia Beach created a special circumstance which afforded him extra protections provided by the VMPEPA. The Court of Appeals of Virginia disagreed and held the VMPEPA did not apply because the SM was not deployed when stationed in Bahrain or Virginia Beach. The Court found that the VMPEPA did not apply because the definition of “deployment” in the Act states that the SM’s military orders must require that he/she report unaccompanied by any family member. The SM in Rubino was allowed to be accompanied by family in Bahrain and Virginia Beach, so he was not “deployed” as defined in the VMPEPA. The Court also noted that the VMPEPA does not establish a generalized preference for a military parent, it merely assists deploying SMs with obtaining temporary custody/visitation orders for the duration of their deployment. In Wheeler, the SM sought to relocate from the Hampton Roads area to San Diego with the minor children. The FS lived in Norfolk and refused to follow the family to California. The trial court found in favor of the SM and granted her request to relocate. In the trial court’s ruling the court mentioned that it had “additional latitude” in evaluating the SM’s case because of her service in the Navy. The FS argued on appeal that the Rubino decision was contrary to the trial court’s ruling. The Court of Appeals of Virginia affirmed the trial court decision. The Court determined that the trial court was not relying on the VMPEPA and it had instead weighed the best interests of the minor children. The FS also argued that the trial court had given too much weight to the SM’s “career dilemma.” The Court again disagreed and found that the trial court properly considered the benefits of relocating to the parent when it was also able to find independent benefits of relocating to the minor children. The Court noted that the two independent benefits to the minor children were that they had extended family in California and that they would be with an income producing parent.